3DTraining the industry's leading provider of short-term, online training, announces a new program "Create Your Own Products In 3D" using Autodesk® Fusion 360™ software. The official launch of the program will held with a seminar at the Microsoft Seminar Room, located at the Stanford Shopping Mall in Palo Alto, California, on Wednesday May 24th, 2017 from 7- 8:30 pm. In today's design-centric world, skills in 3D product design are growing in demand. The "Create Your Own Products In 3D" program that is targeted towards middle school to college students to teach them how to use the next-gen, cloud-based Fusion 360 software to create models in 3D, such as custom Smartphone Cases, Household Items, Wearables, Drones, Cars, etc. Students will also learn how to use models created to make real-life products using 3D Printers or within Video Games and the latest Virtual Reality Applications. The Program will be conducted using 3DTraining's proprietary cloud-based platform and supplemented by live-online labs, helpdesk, and monthly performance challenges. The entire program will be four months in duration, requiring a minimum of three hours of learning and practice time each week. Students can participate from any part of the world as long as they have access to a computer (Mac or PC) and the Internet. For a limited time, 3DTraining will be offering the program free for one month and the entire program at the introductory rate of $99 USD to students (a $360 value). Autodesk will provide a 3-year license of Fusion 360™ software to qualified students and educators participating in this program, at no cost. "For students who are interested in a career in the product design and manufacturing space, Fusion 360 is a unique new software which integrates mechanical design, industrial design, simulation and analysis all in one product. We are happy to support 3DTraining's new Fusion training program as they have been doing an excellent job with training in Autodesk products for over 19 years and counting" - Chris Bradshaw, Senior VP Autodesk. To encourage students to understand the product creation process, 3DTraining is also planning to conduct a 3D product design contest. The contest will be judged by Jeff Smith and Gerard Furbershaw, the founders of LUNAR; an award-winning design firm in the San Francisco Bay Area. Students will get to team up with their friends and compete for attractive prizes such 3D printers, VR Headsets, Gaming Consoles, Tablets and more. By participating in the contests, students will learn the importance of teamwork in the product design and creation process. “Mastery of today’s sophisticated 3D tools such as Fusion 360 and working effectively together as teams are essential ingredients of the most successful creativity. We look forward to reviewing the innovative design concepts that the contest participants come up with” - Jeff Smith - co-founder, LUNAR. After the successful launch of the program, 3DTraining plans to offer its cloud-based training platform to schools, colleges, and other career training centers who would like to offer Autodesk® Fusion 360™ training to their students. When he was in high school, Cody explored drafting. His instructor taught him the ins and outs of the trade. This is where he discovered 3D, construction, and AutoCAD. Finding a career that feels fulfilling can be a challenging road as Cody discovered. Prior to seeking 3D training, he worked in jobs ranging from restaurants to an electrician's assistant over the course of five years. After three years as an electrician's assistant, he sought out a career in 3D. "I never did get those fulfilling feelings of success with those jobs. That all changed after I found 3DTraining!" The task of finding training to pursue his interests brought him to the 3DTraining  where he found a welcoming atmosphere to achieve his goals. Cody believed that there were "possibilities of a rewarding career" with the training offered through 3DTraining. The skills Cody learned in 3D software are not limited to the skills he took away from the program. "I also learned about submitting projects in a timely manner, discipline, presentations, topography, renders, MEP, thorough design studies, point clouds, collaboration, and the list goes on." Since graduation, Cody was hired as a Revit draftsman with an engineering company and after a month and one day he was promoted to Project Manager. One of his designs is featured on the company's business cards. In the future, the young and ambitious Project Manager plans to continue his education in 3D. The combination of 3DTraining's program and Autodesk's Revit capabilities enable Cody to take a vision and create a working visual that he can share with clients. Also, he can be hands on in assisting construction workers with a visual representation of the tasks they will be implementing. His advice to those seeking to learn 3D is straightforward. "3DTraining has the tools, people, and sources to get you there. I learned more in a few short months than I would anywhere else. They go the extra mile when teaching their students." Ben Katt of 3DTi said, "We are proud of Cody's success in bringing his dream of 3D into reality. He is an inspiration for anyone with a passion to realize a fulfilling career in 3D. We are here to support Cody by providing the tools and resources he needs for continued success." Michael Goldman came to his 3DTraining graduation to announce that he had just been hired as a designer by R&R Associates, a leading product design and engineering firm in Sarasota, FL. He’s been excited ever since, to get up every day and go to work. At this point, Michael decided to try to teach himself 3dsMax. After a period of frustration, Michael found 3DTraining, a live online program that uses a production based training methodology to teach Autodesk software programs 3dsMax, Maya, Revit, and Inventor. After only 16 weeks, he had a portfolio of projects that he was able to show to clients and companies. He took the work he had completed during the 3DTraining program and landed an incredible opportunity as a 3D Designer. 3DTraining is proud to announce that Stan Szymanski, a senior VFX, animation and digital media executive with over 30 years of experience in talent acquisition, artist management, and production and studio operations management will be featured as the inaugural speaker in the webinar series, How To Land Your Dream Job in 3D. Stan will share his wealth of knowledge about the inside workings of the industry, how to get hired, what recruiters are looking for, and tips for creating and building a successful career in the 3D world. Stan was the Senior VP of Creative Resources and Digital Production for Sony Imageworks for 14 years where he headed up artist management, talent development, resource allocation and recruiting for the studio. He founded Stanley Vision in 2009 after leaving Imageworks and works as an organizational consultant, educator, resource strategist, head hunter and recruiter for today’s global VFX, animation and digital media production industries. Also in the Webinar, Ron Richard, Senior Education Program Manager at Autodesk, will describe his company’s recent decision to make Autodesk software available without charge to students, teachers, and educational institutions. Scott Hamilton, Vertical Market Strategist – Media and Entertainment, will provide information on the specially optimized hardware options for 3D artists from Dell and 3D Training Institute, will be offering a promotional contest for beginners. Felipe Hernandez, a recent graduate of 3DTraining, has been interested in drafting and working in various mediums of artwork since high school. He started creating wire sculptures of flowers, animals and even people. Looking back, he thinks it probably sparked his interest in 3D, but it would still be a few years before he recognized the career opportunities in the 3D design world. Felipe graduated from Herzing University-Madison with a B.S. in Technology Management. Over the years, he has used his drafting skills in a wide variety of settings from research and development groups, manufacturing, engineering, and even the Army. But, over time he saw that the Autodesk software, Revit was becoming the industry standard. 3DTraining is launching a monthly webinar series, featuring studio recruiters who will describe the exciting career opportunities for 3D artists. These webinars are a unique opportunity for students who want to work in movies, video games, or architecture to talk to the people who make hiring decisions. Webinar participants—high-school and college students and teachers—will be offered a free introductory training program from 3DTraining so that they can take the first steps towards their 3D career right away. Students and educators can also take advantage of free access to Autodesk 3D design software via the Autodesk Education Community – these are the same design tools used by design professionals and commercial studios worldwide. Computer hardware discounts will be offered, and at some of the webinars, there will be contests for beginners and advanced 3D users. Connecting students with studios is 3DTraining’s latest step towards helping students achieve a rewarding 3D career. 3DTraining, an Autodesk Authorized Training Center, teaches 3ds Max®, Maya®, Revit®, Inventor®, and Fusion®. 3DTraining wants to raise awareness about career opportunities in 3D, and help students prepare for and land that dream job. NOV 28, 2014 : 3DTraining Graduate Ivana Njegomir Skipped College, and Turned Her Passion for Drawing Dragons into a Rewarding Career. 3DTraining graduate Ivana Njegomir has been through many transitions. She left Serbia with her family when she was 14 years old and moved to the United States in search of a better life. But when she finished high school, she wasn’t sure what she wanted to do. She felt enormous pressure from her parents and grandparents, who had all graduated from college, and couldn’t imagine how anyone could be successful without a university education. “3DTraining was perfect for a beginner with no 3D experience. I learned the fundamentals of the Autodesk 3ds Max software, and how 3D modeling works. Learning how to model fast gave me a great advantage! Knowing animation and rigging helps me understand what my animation colleagues need", says Ivana. NOV 01, 2014 : 3DTraining has joined the Autodesk Academic Partner Program (APP), a program which provides free 3D software to students, schools, and colleges. 3DTraining the industry’s leading provider of short-term, live-online programs, has just become an Autodesk Academic Partner (APP). Through this partnership, Autodesk will provide 3D software for schools and colleges, and 3DTraining will support this program by offering its unique simulated on-the-job training in 3ds Max, Maya, Revit, and Inventor to help teachers learn the software and teach their students to prepare them for real world jobs. 3DTraining is pleased to announce that Gary Platt, has joined the 3DTraining Board of Advisors. Gary Platt co-founded Full Sail University in 1977 and played a pivotal role in its success. He designed Full Sail’s core curriculum in 1978 and received numerous industry and educational awards. Full Sail’s initial mission was to train students on the production side of entertainment and music. Later, specialized associate's degrees and associate's degrees were added in computer animation, digital media, game design and development, and show production and touring. All of these degrees were later expanded into full bachelor's degree programs. Mr. Platt served as Senior Vice President and Director of Education during his twenty years at Full Sail. Gary Platt and Eckart Wintzen, a Dutch venture capitalist and media arts enthusiast, shared a vision for creating a college with a focus on excellence in the digital arts. In 1998, they co-founded Expression Center for New Media (now known as Ex'pression College for Digital Arts.) Ex'pression College is a for-profit college located in Emeryville, California, geared toward the entertainment industry and known for its around-the-clock schedule and eight week terms. Ex’pression College offers degrees in Animation & Visual Effects, Digital Filmmaking, Game Art & Design, Interactive Audio, Motion Graphic Design and Sound Arts. The college has been recognized for its accelerated programs. Mr. Platt still serves as a Member of the Advisory Board at Ex'pression College for Digital Arts. Mr. Platt graduated from Ohio University and they recently honoured him with the Achievement in Music Award. Immediately after graduation, Mr. Platt designed the educational program for The Recording Workshop in Ohio, which is believed to be the nations’ first accelerated training program for recording. Mr. Platt also received his Masters in Business Administration from the University of Phoenix in 2007. Not only did Mr. Platt graduate with honours but he also gained invaluable insights into the many facets and advantages of online learning. 3DTraining is proud to announce that recent graduate Christian Carbajal just got a full time job in the 3D industry without going through the traditional, expensive 4 year college track. Christian joined 3DTraining's Fast Track program to learn the Autodesk software Maya, and got his diploma in only 4 months. He just turned 20 years old, and is very proud that he has already launched his career at Edese Doret Industrial Design. When Christian graduated from high school there was a lot of pressure to go directly to college. Most of his friends and classmates were following a traditional path, feeling that they had to go college if they wanted to be successful. But, Christian had been noticing that going to college didn't always mean finding a job and he knew a lot of people who had gotten deep into debt with school loans. Christian decided to take a different route. "I always thought of myself as an artist. I was drawing stick figures when I was only 3 years old and playing the guitar and piano at 4. I started playing video games at 8, and then got into acting and singing when I was 9 years old. At 12, I was intrigued by anatomy, and at 15, I was studying martial arts." Christian gives a lot of credit to his parents for letting him follow his passions. 3DTraining is a unique production-based training program where students learn Autodesk software in a simulated on-the-job environment. Because 3DTraining students learn by working on in-demand projects, Christian was able to build a portfolio while he was going to school. All 3D Training courses are held live on-line, which meant Christian was able to take classes without the extra expense of traveling and he was able to get real time feedback from the instructor. And because 3DTraining students learn in a simulated production environment, Christian knew how to work in a professional position. "Thank you 3DTraining for making it possible for me to kick start my career at my age, and having faith in me.” Christian has this advice to give to aspiring 3d artists, "Never give up on your dreams and goals. Have the courage to believe in yourself, because you are the only one who can make it happen." Ben Katt, from 3DTraining said, “We are incredibly proud of Christian. He possessed the insight to know what he wanted to accomplish, the wisdom to trust his instincts, and the motivation to make his dream come true. He is an inspiration to all of us. I highly encourage anyone who wants to find a career or make a career change to come to our free Trial Program. At 3DTraining, we create success stories. Come find out how you can be as successful as Christian." Last week, President Obama held the first Maker Faire at the White House and celebrated with the entrepreneurs and inventors who have reinvented and reinvigorated the manufacturing sector of the US economy. The West Wing of the White House was filled with Makers demonstrating inventions from Robotic giraffes to a 3D Pancake Printer, to 3d modeling of molecules inside our bodies. Behind much of this innovation is 3D software and it is expected that the demand for professionals who are proficient in 3dsMax, Maya, Revit, and Inventor will continue to match the soaring marketplace. Autodesk has made a commitment to supporting the President’s call to action and 3DTraining is contributing by offering these Hands on Workshops which will introduce the 3D software and the unique Production Based Training Methodology that is conducted exclusively by 3DTraining. In the workshop participants will complete a small project to get an understanding of the software and the project workflow. The workshop will be taught using a combination of 2 hours of self-paced interactive videos which are accessible at any time and a 4 hour live instructor led online session. From movies and video games, to legal presentations, medical animations, fashion designers, construction managers, endless mobile applications, and 3D Printing, the opportunities for 3D professionals are expanding every day. The accessibility to 3D tools is creating a new generation of Makers, inventors, and entrepreneurs. The Hands on Workshops are offered in Autodesk software packages 3dsMax, Maya, Revit, and Inventor. For only $50, participants will learn about the software, the industry trends, and job availability in the 3D field. Brian Ballinger, 3DTraining Alumni, earned his B.S. in Architecture at Lawrence Technological University, near Detroit, Michigan, where their motto is "Possible is Everything". But he soon discovered that finding a satisfying job wasn’t easy, and at times didn’t even seem possible. He was working as a draftsman using AutoCad, but Brian wanted to work in a position where he would feel inspired, could grow with the company, and most of all, be happy. Brian found that a lot of companies were using outdated technology or could not promise long-term employment. Brian says, “I was constantly looking for a way out of the short-term job cycle; but without experience in Revit, I could hardly get an interview—let alone a good job." Brian finally found his dream job at Naos Design Group, and he gives all the credit to 3DTraining's simulated on-the-job training program. Today, Brian is on the fast track to success as he and Naos Design Groups BIM Manager, Alyssa Tharrett, are teaching the rest of the firm’s employees how to succeed using Revit! 3DTraining Alumni, Sal Torchia, earned his degree in Advertising Design and Communications, moved to New York City and landed his dream job at BBDO, a prestigious advertising agency. He loved working in 2D design, retouching and print ads but after a while he realized that he kept bumping up against a ceiling in his profession. He started asking himself the difficult questions. “What do you do when you have invested time and money in a career only to find out your opportunities don’t match your ambitions?” Sal took to the Internet to do some research and discovered 3DTraining. “I went to the Free Trial Program and I was hooked.” He signed up for the Maya Course immediately. 3DTraining, Daniel Madzel, has always loved creating recipes and making tasty treats for his family and friends. This passion fulfilled his creative side, but the long hours and low pay in the food industry sent him searching for a career where he could afford to support his family. So Daniel did some research. "Before I threw tens of thousands of dollars into a school I needed to know how it was going to work for me." Daniel discovered 3DTraining, attended the free Introductory Class, and liked what he saw. "3DTraining has a really cool teaching approach. The instructors teach live online and they make learning fun and easy. 3DTraining uses a simulated production environment, so I learned what companies and clients are looking for. It was like on the job training and far more affordable than any of the other programs." "But, when I graduated the economy was really bad. Still, I didn't let that stop me. I said, 'If I can't find a job, I'll make my own.'" Daniel took what he learned at 3DTraining and turned himself into an entrepreneur. "I pounded the pavement and now I've got a team of 10 artists. I feel like there's no ceiling on what we can accomplish." For Daniel, 3DTraining was the "secret sauce" that gave him the skills and confidence to successfully make the career change that would change his life. "We are very proud of Daniel's success. We are here to provide Daniel and his company, Gridway Digital with talent and help him grow his business. Daniel is an inspiration for anyone looking for career change and anyone who has ever dreamed of becoming a successful entrepreneur." - says Ben Katt, 3DTraining. 3DTraining an industry leader in teaching Autodesk software, and Sculpteo, an innovative 3D cloud printing service, are excited to announce a collaboration to promote 3D printing to the student community. 3DTraining and Sculpteo will conduct a live-online webinar on Wednesday, December 4th, from 6pm to 7pm (Pacific Time), about how to prepare 3D files for printing, set up your own online store, and embed Sculpteo’s technology onto your own website. The business of 3D printing is exploding. Mass customization is expected to go beyond mass production. Sculpteo has created a 3D cloud printing service that unites artists and designers with customers; and has taken all the hassle out of the 3D printing and selling process. The Sculpteo 3D printing engine can produce a different object for each individual. The ability to produce a physical model from a 3D file has important applications in architecture, manufacturing, gaming, home wares, lighting, jewellry, and almost every other conceivable industry. Using Sculpteo’s unique 3D cloud printing engine, artists are able to upload their 3D files onto the Sculpteo platform. Sculpteo handles everything, from printing and shipping, to billing and payments. It allows customers to choose colours, sizes, and materials, to create personalized gifts or other items of their choosing. Customers can design a one-of-a-kind piece, individualizing a piece of jewellry or art for personal use or home display. Sculpteo will give 3DTraining students a discount to print physical models of their work and to create a personal library of the models they have created. 3DTraining will also conduct online training seminars to help artists and designers market their designs using the Sculpteo platform. "Sculpteo is an online 3D printing service that is available to everyone. But not everyone is able to create a printable file using 3D software. This is why our partnership with 3DTraining is so valuable; it enables us to teach people how to create 3D files for 3D printing," says Clément Moreau, CEO of Sculpteo. “3DTraining recently launched an ambitious service called Studio Connect, to give students a chance to work with industry professionals and prepare them for real-world projects after they successfully complete the program. Partnering with Sculpteo and teaching students how to use this hot new technology to market themselves and their art is a natural fit,” says Ben Katt, 3DTraining. 3DTraining is launching a new, free service, called Studio Connect in January 2014, to bridge the gap between graduates and studios who need production assistance for their projects. 3DTraining is launching a new and innovative service, “Studio Connect”, that addresses a major industry problem. With most studios facing stringent production deadlines, they lack the time and resources to train and manage fresh graduates, and prefer to hire experienced talent. Studio Connect will act as a life line between graduates who have learned Autodesk 3D software (3dsMax, Maya, Revit, and Inventor) and studios working on film, gaming, architectural, manufacturing, and other design projects. Studio Connect will launch in January 2014, and is free for participants. Although this service was created for graduates who have completed the 3DTraining training programs, a few spots will be open to graduates from other schools and colleges. The selected participants will have the opportunity to gain the critical experience that studios seek, while working in teams on simulated production projects. “This program is truly win-win, Graduates participating in Studio Connect will get the opportunity to work with clients, and studios will benefit by having a pool of well-trained and qualified talent for their projects.” - Gary Sharfin, owner of Private Idaho. “Studio Connect will help bridge the gap in the industry between graduates looking for work and studios looking for well-trained talent that is ready to ‘hit the ground running.’ I encourage studios to take advantage of this service, which will give graduates the break they deserve!" - Joel Orr, founder, Computer Graphics World magazine. 3DTraining is proud to announce that they have become one of the first live on-line training centers to become an Autodesk Authorized Training Center (ATC). In fact, 3DTraining has the unique distinction of arguably being the first company to launch live on-line classes back in 2007. The live on-line format allows anyone with an internet connection to learn from home or their place of work with a live instructor, at set times over the Internet. Now, as an Autodesk Authorized Training Center, 3DTraining will be able to offer additional benefits to students, such as a certificate of proficiency from Autodesk, and access to the Autodesk Student Community to obtain a free three year license in the software they are learning. 3DTraining’s programs were initially developed in 1998 by production professionals who were having a difficult time finding skilled talent. In fact, when they were first launched in 1999, 3DTraining’s classes were conducted at the Autodesk Resource Center, located within the Curious Pictures Facility and later moved to a much larger training space on 5th Avenue, in New York City. The opportunity came in 2007 when web technologies such as WebEx made it possible to conduct live instructor-led training online. Ever since then, 3DTraining has helped a significant number of people change their careers and their lives with their innovative 16 week production based training programs which use a combination of self-paced training materials and live instructor-led session. 3DTraining Alumni, Chris Jennings, is on the fast track to making all his dreams come true. Chris Jennings, 3DTraining Alumni, won his first Emmy award for Outstanding Individual Achievement in a Craft: Graphic Design and Art Direction Category as Lead 3D Artist, for the National Geographic documentary, “Illicit: The Dark Trade”. This important film examined a new kind of international crime; the illegal trade of fake medicines, dangerous weapons, and even human beings. So, Chris went back to school and got his associate’s degree in Digital Animation and Visual Effects. Even with all this education, he didn’t feel that he had gotten all the skills he needed to advance his career. So, Chris turned to 3DTraining, for help. Chris really liked the production based program that 3DTraining offered. Soon after completing the program, Chris was hired as the Animation Supervisor for another documentary called “Alien Deep”, where Dr. Robert Ballard, the famed explorer who discovered the final resting place of the Titanic, took viewers on a trip to discover the secrets of life that exists thousands of feet below the surface of the sea. This documentary aired on National Geographic Channel and is expected to be up for Emmy consideration in 2013. 3DTraining Alumni Works on a Sci-Fi Web Series "The New Kind" Which Raised $100K Though Kickstarter (a new funding platform for creative projects). Eric Nersesian, 3DTraining Alumni, was sitting in his backyard when he got the call from director Peter Hyoguchi asking him to join his web project. “Peter saw my reel on the internet and felt that I would be a great fit as a VFX Artist. I looked him up online, saw his credentials, and thought, ‘this can’t be real.’” The web series also attracted other professionals who had worked on projects such as Star Wars, Avatar, Hugo, The Matrix, and Harry Potter. Suddenly, Eric found himself collaborating with animation superstars. Eric credits 3DTraining, for giving him the tools to find work in both of these areas of 3D animation. Although, making movies with Hollywood producers is the glamorous side of 3D animation, Eric says that he is equally proud of the 3D interactive training simulations he creates that train people before they put themselves in dangerous situations. Dr. Joel N. Orr established himself as a world-renowned expert in engineering automation and computer technologies. He helped found Cyon Research Corporation, a publishing and consulting firm, and its annual COFES conference. Much in demand as a keynote speaker, Joel has addressed conferences, companies, and associations around the world, often sharing the platform with speakers such as Tom Peters, George Gilder, Jack Kemp, and others. Many of the Fortune 500 manufacturers see Dr. Orr as a major resource in the areas of business restructuring, automation, and the future of technology. He counts among his clients Ford, IBM, Chrysler, Lockheed, Xerox, Apple, General Foods, Dow Corning; Becton-Dickinson, US Surgical, the US Navy, Coast Guard, Air Force, and Army, NASA, government agencies in several countries, and many other organizations. Orr has frequently served as an expert witness in matters relating to computer graphics, CAD, computer software, systems design, collaborative software, and more. Dr. Orr’s PhD is in abstract math, from SUNY, 1973. He is listed in “Who’s Who,” and is internationally known as a speaker. He lives in Mountain View, California. 3DTraining.com welcomes David Carson to its board of student advisors, which represents prominent animation executives who are committed to sharing their areas of expertise with its instructors and students. The members of the 3DTraining advisory board represent significant talent and accomplishment in the animation industry. David Carson is the director of four episodes each of Star Trek: The Next Generation and Star Trek: Deep Space Nine, including the latter's pilot episode, "Emissary"". Carson also directed Star Trek Generations, his first feature film effort and the highest grossing movie of the Star Trek franchise at that time. His movies for the big screen include LETTERS FROM A KILLER, starring Patrick Swayze, IN HIS LIFE: THE JOHN LENNON STORY, and THE 10TH KINGDOM. Carson has also directed episodes of such shows as L.A. Law, Doogie Howser, M.D., Alien Nation, Northern Exposure, Beverly Hills 90210. Other movies and mini-series directed by Carson for television include CARRIE, BLUE SMOKE, and GOING UNDERGROUND, which won a Humanitas award. Carson has also won two EMMYS, for his work on the TV series STAR TREK: DEEP SPACE NINE and NORTHERN EXPOSURE. “I am very impressed with 3DTraining’s program, and especially their aim to help and encourage students to balance their artistry and aspirations with the real world requirements and challenges of the entertainment industry, thereby increasing their chances of success,” - David Carson. NEW YORK— Jackson, Mississippi is not often mentioned among the country’s top media production centers, but if Oroma Media has anything to say about it that may soon change. The Jackson-based company, founded a scant two years ago by 3DTraining graduate Breyon Bradford, provides video production, graphics design, post production, website design and branding services, and has quickly amassed an impressive local, regional and even national clientele by turning out work whose quality rivals that of top tier shops in New York and Los Angeles. Bradford said that the education he received through 3DTraining has been critical to his company’s success. He not only learned how to use sophisticated 3D software, he got the career guidance and post graduate support he needed to put his knowledge to practical, commercial use. Gary Sharfin is the owner, a producer, editor, sometimes director at Private Idaho which he founded in 1988. He began his career launching Donna Karan with an award winning fashion video and has edited commercials for Burger King, Lite Beer, Budweiser (including Bud Bowl) as well as Canon’s iconic Andre Agassi “Image is everything” campaign. Talk about an out of this world experience! Three 3DTraining alumni were selected to work with the 3DMirage team on a special project for an upcoming Greek feature film. The film’s director Spyros Vrettos needed assistance with a seven-minute sequence and called on 3DMirage for support on the task. The team recruited three past 3DTraining students for the project: Joe Carvalko (Milford, CT), Rob Kerek (Rohnert Park, CA), and Andy Richard (Ajax, ON, Canada). The 3DTraining alumnis were faced with the challenge of a tight budget and an even tighter deadline, but successfully completed the project with glowing results. The film is slated for a December release, and Vrettos is planning on including the finished product in several upcoming film festivals. Eli Kuslansky is the managing partner of Unified Field which specializes in media architecture, communications, and visualization systems for museums, educational institutions, Fortune 500 corporations. He specializes in design technology, communications, informational and educational products. With more than twenty years of experience in the industry, he is currently developing advanced 3D visualization systems, alternative interfaces and designing custom software applications for museums, educational institutions, Fortune 500 corporations, and financial institutions. With a very short project timeline given by client to create a 15-second commercial for SuperBowl, the 3DMIRAGE (www.3dmirage.com) team needed all assistance possible to meet the project deadline. 3DTraining alumni Breyon Bradford was hired to assist the 3DMIRAGE team in getting the project executed within the short dead-line. Lucien Harriot, Visual Effects Supervisor and President of Mechanism Digital Inc., is as comfortable on the live action set as he is in the studio with a team of computer artists. In 1996, Lucien founded Mechanism Digital Inc., which provides computer animation and digital effects for film, television and new media. Located in Manhattan’s West Chelsea and employing a staff of up to 25, Mechanism prides itself in taking the mystery out of the visual effects process while encouraging client education and involvement in the creative process, from storyboard to finishing. AUG 18 , 2008 : 3DTraining graduate Kern Darrabie featured in an article in the CGW/ POST Magazine. Kern Darrabie, an intermediate level user, joined the 3DTraining programs and soon after completion started working as a Senior Animator for Comcast Network's CN8 TV Station which serves nine million cable viewers from Maine to Washington D.C. with regional and local news and sports coverage. Within a few months after completing the course at 3DTraining Joshua Chung found early success by working on a animation short for Instant Noodle Factory (www.instantnoodlefactory.com) under the supervision of award winning creative director Doros Evangelides. Working with a team of about six artists, Chung was able to create a professional-level animation for a toy company offering a new product called FurBerries. The result is a delightful 6-minute 3D animated cartoon, which is sold as a DVD with the toys (a new kind of cuddly, colorful teddy-bear, which rolls into a ball and has other features). Doros Evangelides is the CEO of Doros USA, Inc., a Computer Animation Company, which merged recently with LEXICOM, LLC, an Information Technology Company, to create the newly formed INSTANT NOODLE FACTORY Company. The company’s objective is to achieve excellence in the designing and production of superior animation, communications and Internet Technology by combining many years of experience and talent. The 3DTraining Career Advancement Seminar turned out to be a great success, with approximately 200 aspiring animators in attendance to meet and gain animation career advice from our panel of industry experts which consisted of animation company owners and savvy industry recruiters who shared their insights on how to launch a 3D Animation career in today’s market. 3DTraining interviewed a few companies that were exhibiting this year at Siggraph, so that our current and prospective students can learn more information about the latest trends and technology in the animation field. New York, NY -- 3DMIRAGE, (www.3dmirage.com) a high-end 3D animation consulting company has launched 3DTraining, a training company dedicated solely to teaching the art and craft of 3D animation in a simulated production environment. Dr. Rajeev Doshi wanted to make a career change to 3D animation. So he flew in to New York to stay here for 3 months to attend our 12 week 3D Project Based Course. 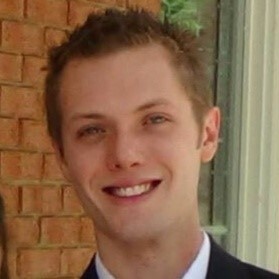 Within months of completing our program he was hired as a Digital Media Manager for a medical animation company in UK. After working there for about 2 years, he now runs his own successful medical animation business. "It was a pleasure working with you and your staff on the two successful 3D animation seminars we cosponsored with 3DMIRAGE. The seminars were informative and interesting and your staff was very professional. I look forward to working with 3DMIRAGE on future programs" - Pamela Suett- Director of Education and Training. ABOUT AGC: AGC is a $3 billion network for industry information and idea exchange for print/pre-press providers, new media services, ad agencies, publishers, corporate communications departments, designers, industry suppliers and professional organizations. ABOUT AUTODESK: Autodesk is the world's leading design and digital content creation resource. The company provides software and Internet portal services to help customers drive business through the power of design. Serving a host of engineering and design disciplines as well as the film, broadcast, and multimedia industries, Autodesk has more than 4 million customers worldwide. Ninety percent of the Fortune 500 largest industrial and service corporations in the United States are Autodesk® customers. Discreet, a division of Autodesk formed by combining the Kinetix® operations with the Discreet Logic acquisition, develops and delivers systems and software for visual effects, 3D animation, editing, broadcast graphics, and feature films. One of the largest software companies in the world, Autodesk has customers in over 150 countries.